Recently I have been trying to make better use of my freezer. Not only does it offer a great way to keep healthy, homemade items on hand for fast meals or snacks, it also stops us from wasting food. 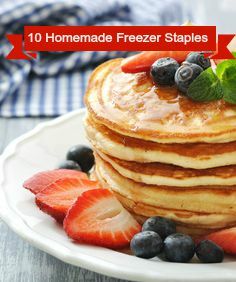 So without further ado, here is my list of 10 homemade freezer staples. The idea of making hummus used to be daunting. But once I realized how ridiculously easy it is, I became a convert. I now make a batch of hummus every week, freeze it in ice cube trays, transfer it to a freezer bag, and defrost a cube whenever anyone in the family has a hankering for it. My recipe? 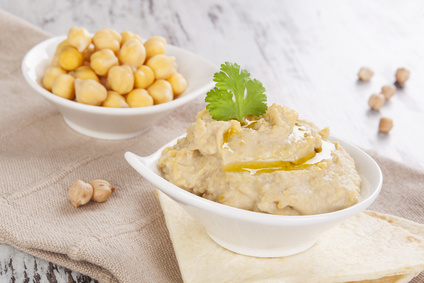 1 can of drained garbanzo beans (chick peas), 3 tbsp fresh lemon juice, 2 tbsp tahini, 1 crushed clove of garlic, 1/4 cup of olive oil, and 1/8 cup of water. Blend until smooth, et voila. 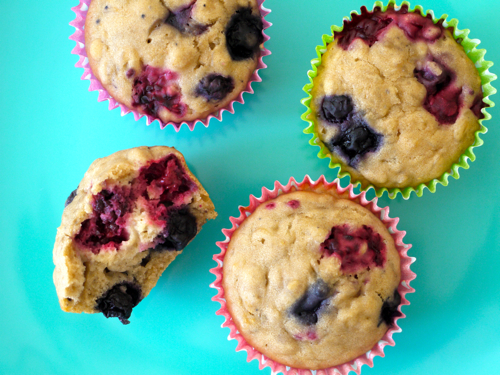 These very berry muffins from Weelicious.com are easy to make, healthy, and they freeze really well. I make a big batch of mini muffins and defrost them individually when my children want something sweet to eat. Just pop them in the microwave for 18 seconds and enjoy (but make sure the berries are not too hot before you serve them). I often look through the freezer section of the grocery store to see if there are any products that I can make a healthy version of at home. 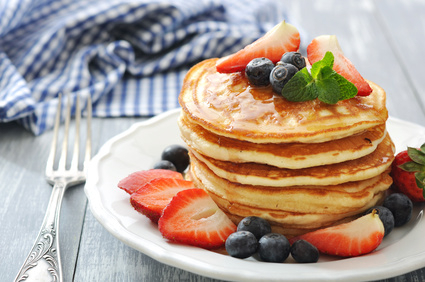 That is how I came up with freezing these homemade whole wheat pancakes. To defrost, I just pop them in the toaster. 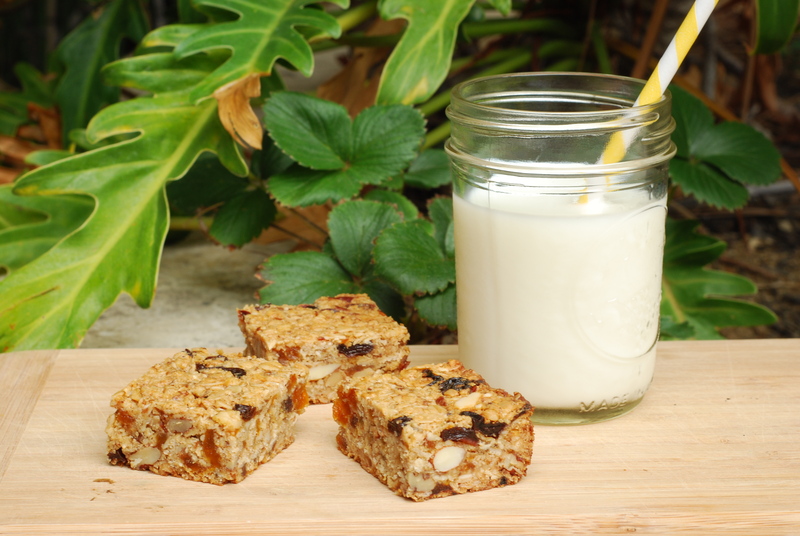 Granola bars are an excellent snack full of protein, fat, carbohydrates, vitamins, and minerals from all those fruits, nuts, and oats. Sadly, however, commercially made granola bars often fail to live up to taste or nutritional expectations. Instead, I make a big batch of these granola bars at home, wrap them individually, and freeze them. To defrost you can either get them out an hour before you want to eat them, or pop them in a lunch box and they will be ready to eat by lunch time. I am a huge homemade granola fan. I like to avoid the super-sweet and/or cardboard-like and/or ridiculously expensive granola at the grocery store. But it gets a bit old having to make it every week. So now I make a double batch of this cranberry almond granola and freeze half. To defrost it, just leave it out overnight and it will be ready to eat in the morning. 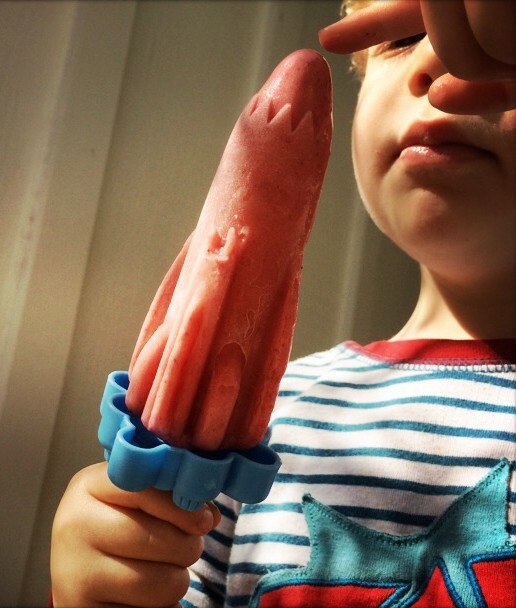 If you have children, a list of 10 homemade freezer staples would not be complete without popsicles. Popsicles are a great treat for a hot summer day, as well as a good way to hydrate a sick child year round. But store bought popsicles are often chock-full of sugar and other unpleasant ingredients. These refreshingly healthy strawberry popsicles have just three ingredients – yogurt, strawberries, and honey – and they make a perfect freezer staple. 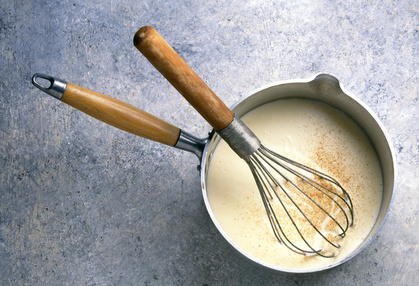 Not only is cheese sauce easy to make, it is also very versatile. You can whip up mac and cheese, cauliflower cheese, or lasagna at a moments notice. Or you can just defrost a little to drizzle over roasted vegetables. Whatever you choose to do with it, it is an excellent addition to your freezer. This recipe provides a good basic guide, but you can add more or less cheese to suit your taste. I freeze it in ice cube trays, transfer it to a freezer bag, and defrost the cubes in the microwave when I need them. 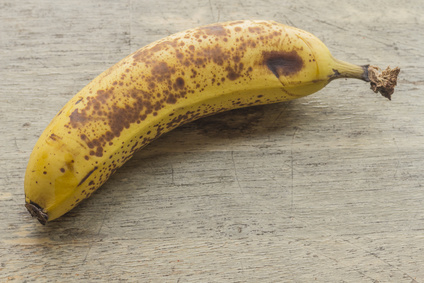 I have a confession to make – I used to waste brown bananas. They would be left in the fruit bowl until their juice leaked out all over the other inhabitants. But not any more. Now, before there is any chance of leakage, I put those bad boys in the freezer. Then, when I feel like making this banana cinnamon breakfast topper or number 9 below, I grab a frozen banana, throw it in the microwave for 45 seconds, and I have the perfect ingredient ready to go. I love cake, but I try not to eat it too often. As far as possible, I limit my cake consumption to the homemade variety. The only problem with baking at home is that I end up with a huge cake to eat. Thanks to my mum, who introduced me to the idea of freezing cake, I now have a supply of homemade cake in the freezer for when the cake urge strikes. 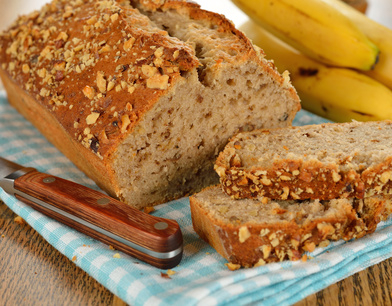 I love to freeze this tasty honey whole wheat banana bread from Cookie + Kate. You can freeze it in slices and defrost as little as one portion at a time. 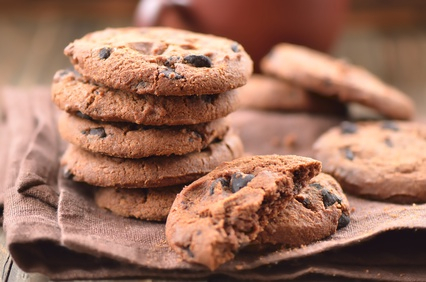 How great would it be if you could have a warm, home baked cookie at any time of the day or night with very little effort? Well now you can. All you have to do is make your favorite cookie dough, roll it into a fat sausage shape, double wrap it in plastic wrap, and throw it in your freezer. Then when you want homemade cookies, just slice off as many as you want, put them on a baking tray, and bake. Perfect for an unexpected afternoon tea party or simply to satisfy your cookie craving. Great ideas – I really do need to start using my freezer better. I am getting there. Freezing cake is a great idea – and I didn’t know you could freeze hummus. Thanks for the post! Yes, hummus freezes really well. I actually use it as baby food and just get it out a little bit at a time. I’ve frozen cookies already baked or unbaked cookie dough balls, but never tried rolling it up like a log. Interesting idea – I’ll have to try it! I haven’t tried freezing baked cookies. I’ll have to give that a try. This looks almost exactly like my freezer list. Since processed foods are so sketchy for us, I ALWAYS have a ton of stuff in the freezer! I haven’t ever tried freezing hummus or granola though, I’ll have to try! Granola is a recent addition to our freezer. I was just getting fed up with making it all the time. It gets eaten fast in our house. I love anything I can make ahead and freeze! With two little ones it comes in so handy! Thanks for sharing all of these great ideas! We have two little ones as well, so I’m always looking to cut corners while still producing healthy food. It’s not always easy. I had no idea that hummus froze well! It sure does. I have even read that you can pour a thin layer of olive oil on the top before you freeze it to help keep the moisture locked in. I haven’t tried that yet, and I haven’t had a problem with lost moisture. But then, hummus doesn’t stay in our freezer for long. I absolutely love this. I have a ton of freezer space and am sad to admit that I do waste food sometimes. Thanks so much for sharing! I have a hard time with things getting freezer burnt, so sometimes I don’t know what I should and shouldn’t freeze. Would you be able to tell me how long each recipe keeps in the freezer approximately? Like 1-3 months, or something like that? I have kept everything on this list in my freezer for up to 3 months with great results. If you keep them in there much longer than that you do risk freezer burn. But if you wrap them well and/or use good freezer bags and squeeze as much air out as possible, you can reduce the burn. Thanks Anne. And thank you for hosting a great link party.